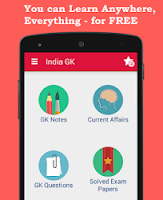 9, 10 February 2018 Current Affairs MCQs, Quiz, Questions: Current Affairs for February 2018, Daily Multiple Choice Questions (MCQs) for India GK, World GK and current affairs with Collection of daily objective type Question by www.Indiagk.net based on General Knowledge (GK) and General Science (GS) Questions for UPSC, State PSC, SSC, Police exam, Railway exam, SBI, Bank PO, IBPC, SSC, LDC, UDC, Army, Airforce, Navy, Coast Guard, Bank Clerk, TET and all entrance examination with current affairs News, Multiple Choice Questions (MCQs) available on Website www.IndiaGK.net and Android Apps with daily updates:. Winter Olympics 2018 started with a grand opening ceremony on 9 February 2018 in which country? Who has been sworn-in as the new Chairman of the Federal Reserve? What is the current repo rate, according to 6th Bi-monthly Monetary policy statement for 2017-18? Madavoor Vasudevan Nair, the Kathakali maestro has passed away. He hailed from which state? Which state has topped the overall medal tally at the first-ever Khelo India School Games 2018?